April 20 is an indulgent day for many Santa Barbarans, and if you don’t know what I mean, just turn to the plume of smoke hovering over Isla Vista and take a whiff. Whatever your feelings about that particular brand of celebration-I won’t offer an opinion here-most would agree a typical 4/20 is about the least productive day our town sees, albeit a windfall for the food delivery sector. Ironically enough, the occasion’s celebrants tend to be the people most preoccupied with social ills and those most vocally in favor of community action. The obvious question is this: How, oh how, can their ambitious philosophies be reconciled with the dizzying lethargy of the coming week? 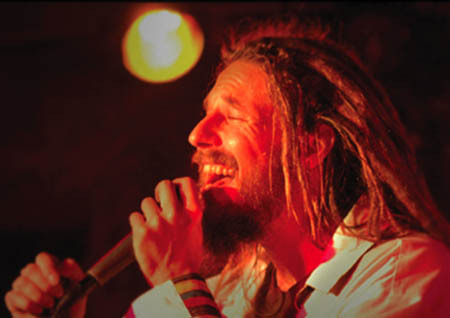 The answer, dear friends, is at SOhO on Friday night, where roots/reggae sensation Soul Majestic plays a succulent 4/20 show to benefit Art From Scrap, a nonprofit organization that has been enriching Santa Barbara for more than 17 years. The problem, so often the case with nonprofits, is money. Art From Scrap, which recently left the comfort of an umbrella organization for more autonomous control, is in a constant struggle to fund its many programs, and these next few months could dictate its future in Santa Barbara. Pairing with Caribbean rhythm-heavy Soul Majestic was the obvious choice for the event. The musicians, who formed the group in the late ’90s and are based on the Central Coast, combine socially conscious lyrics with an infectious stage energy that perfectly matches the vibe emanating from Art From Scrap and LoaTree. Add it all up and you’ve got yourself a killer show for a killer cause. Soul Majestic takes the stage this Friday, April 20, at SOhO at 9 p.m.; call 962-7776 for tickets. The silent auction is currently in full swing at Art From Scrap (302 E. Cota St.) and will continue at SOhO the night of the show. To learn more about Art From Scrap, visit ArtFromScrap.org. For more about LoaTree, visit LoaTree.com.